YOU WILL NOT WANT TO LEAVE! 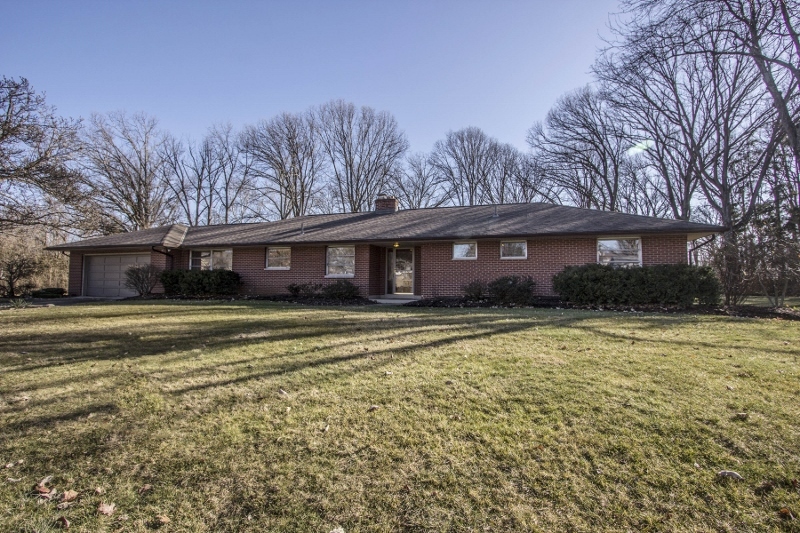 Updated cape cod home nestled onto over 3/4 acre, gently sloped & wooded lot close to the pool and Creekside! Loaded with updates! 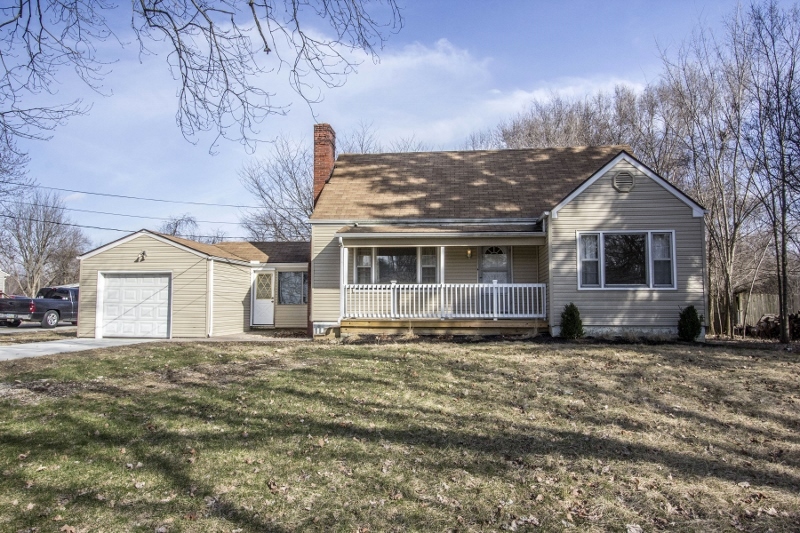 Remodeled Baths, Kitchen, new A/C, new concrete drive and more! Hardwood Foyer opens to the Living Room with hardwood floors and fireplace. Spacious, eat-in remodeled Kitchen. First or Second Floor Master Suites. Second Floor Master has a Sitting Area & New Bath ~2016. Full Basement (ready to finish) with future wine cellar. Must see! 3 BRs & 2 Full Baths. 1,400 SF! Gahanna schools. Only $149,900! Call DeLena today! 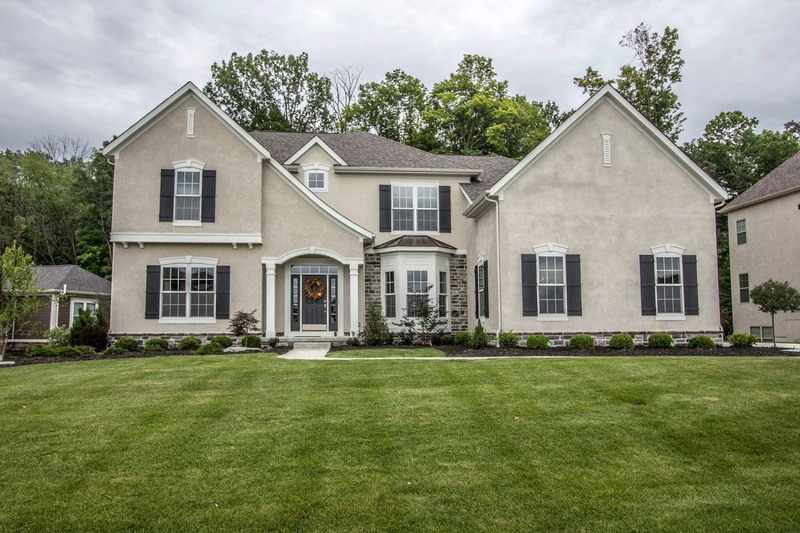 Brand new Two-Story home nestled onto a ~1/3+ acre wooded lot in the 2014 Parade of Homes Subdivision! Two-Story Foyer. Beautiful “distressed” wood floors everywhere! 1st Floor Den with custom built-ins plus a second 1st floor Den/Living Room/Possible Guest Suite. Spacious Great Room boasts wood floors & corner fireplace. Amazing, fully applianced island Kitchen with 2 prep counters, Butler’s pantry & wrap around cabinets & granite counters. 1st floor Laundry and Mud Room. Master Suite has double tray ceiling, walk-in closet & shower bath. Full Basement (ready to finish) & more! 4 BRs & 3.5 Baths. Nearly 3,900 SF! Olentangy Schools. Only $639,900! Adding a splash of color (or two, or three) is a low-cost way to liven up the blank canvas of your home. While neutral colors are ideal for selling your home, living with them might be a different story. If you want to evoke emotion, establish visual intrigue or set a certain mood, color is the best way to get the job done. And you don't have to stick with just one color throughout your home. Highlight an accent wall in your living room with a darker shade or apply a funky wallpaper print. Or, paint your kitchen red with shades like Crisp Crimson or Rocket Red from Dutch Boy, as it increases appetite and elevates passion, perfect for a romantic dinner for two. Purples such as Plumes or Merlot Grape, also from Dutch Boy, have been known to induce passion, ideal choices for a couple's bedroom. Bringing artistic elements into the space is an easy way to add personal flair. From wall decor and blown glass accents to picture frames and candles, no decorative piece is too small to make a big impact. Display items in groups of three for a dramatic display. Candleholders or vases in varying heights or complementary color schemes can marry two styles easily, and pairing a gothic frame with a softer, lace-applique can actually bring great dimension to an overlooked nook of the home. Just because you're a fan of Monet and your partner prefers Picasso, that doesn't mean you can't proudly display your favorite pieces for all to enjoy. While Picasso's pieces seem more abrupt and geometric, by combining with larger, softer pieces from an impressionist painter like Monet, you can actually blend the two artistic styles seamlessly. Don't be afraid to mix various textures and patterns. This will add dimension to the space, transforming a flat and otherwise boring look into a world of wonderment. First, pick a main color you want to focus on, which will be the anchor color for the space. Let's say you choose blue for this role. Lay all blue fabrics on the floor - window treatments, rugs, pillows and blankets. You'll immediately notice some that seem out of place. Remove these from the pile and you'll begin to notice an interesting cohesion among the remaining fabrics. Next, you'll want to incorporate a complementary color. If blue is your anchor color, add hints of orange to the mix for a playful pop. Also, be mindful of the pattern's scale. If you have too many large scale patterns in one space, they will be competing with each other, adding unnecessary drama. Keeping it to just one large scale print and several mix-and-match small and medium scale prints will create perfect harmony. In terms of texture, pairing coarse fabrics with smooth variants will add yet another level of dimension to the space. While too many coarse items can seem overbearing, by adding some softer, more feminine textures you can actually create an interesting, eye-provoking combination. Taking the time to blend your and your mate's style preferences can be a rewarding experience. Throughout the process you'll learn his or her likes and dislikes while having fun in the process, creating a stronger, more unified couple. And by playing around with colors, textures and patterns, the end result will be a well-designed joint space that stimulates the senses from start to finish. MUCH LOVED & WELL MAINTAINED! 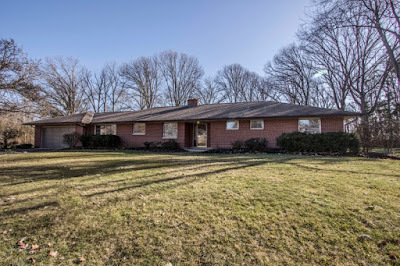 All brick, rambling ranch home nestled onto a wooded, ~3/4 acre double lot! 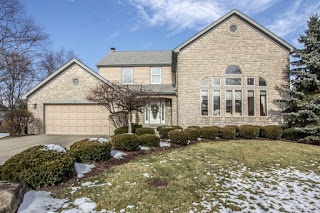 One level living with nearly 1,900 SF! Slate Foyer opens to a giant Great Room with built-in cabinet and stone fireplace. Family Room walks out to a covered rear patio. Fully applianced, updated Kitchen has hardwood floors and newer countertops. Master Suite has private Full Bath. 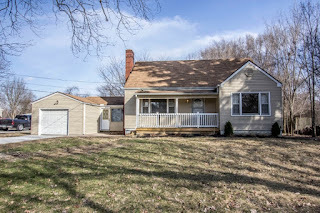 Updated roof, carpet, exterior lighting, Kitchen counters, Stainless Steel refrigerator, water heater, furnace, A/C & much more! 3 BRs & 2 Full Baths. Westerville schools. Only $192,900! Call DeLena today! STUNNING AND SPACIOUS! 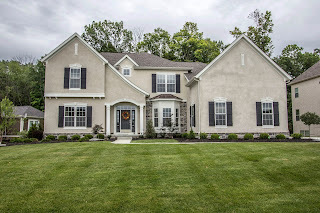 Two-story home nestled onto 1/3 acre mature treed, end of cul-de-sac lot! ~3,400 SF! Expanded ceramic Foyer opens to a Two-Story Great Room with walls of windows. Huge Kitchen with wrap around cabinets, Butler’s pantry/bar, bay wall & stainless steel appliances. Sunken Family Room with fireplace opens to a First Floor Den/Flex Room with vaulted ceilings. 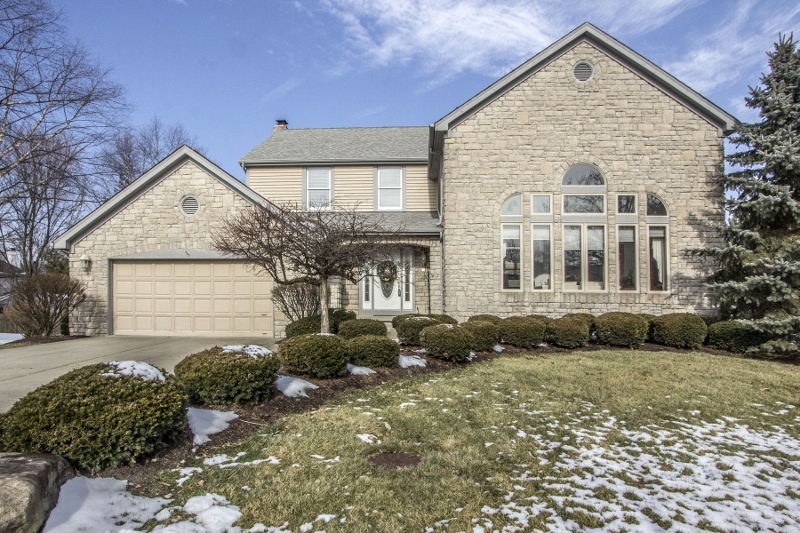 Very spacious & Vaulted Master Suite with walk-in closet & vaulted whirlpool Bath. 4 BRs & 2.5 Baths. Westerville schools. Only $334,900! Call DeLena today! GIANT Price Reduction! Open House in Delaware!